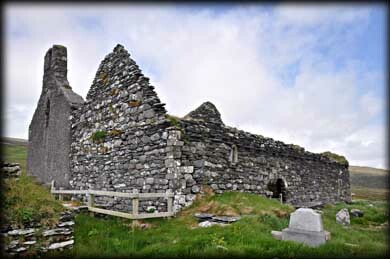 This delightful late 12th century medieval church is said to have been built on the original site of St Finian's early Christian monastery. 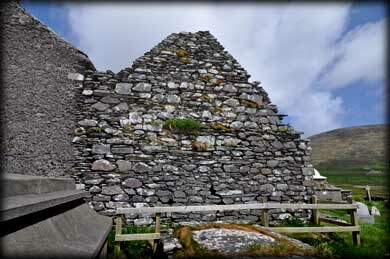 The church, which is dedicated to St Finian, was in a good state of repair up until the mid 17th century. At present it is attached to a much later parish church. Further along this road is the early Christian site of Killabuonia and to the south of the church is a megalithic structure known locally as the 'Pagan's Grave'. 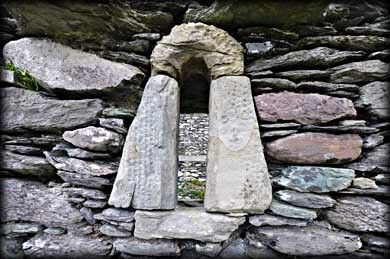 I only learned of the megalithic stones on my return to Dublin. 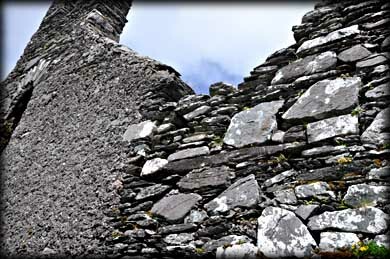 This site is beautifully located with gorgeous views out to the Skellig Islands. I am already looking forward to a return visit. 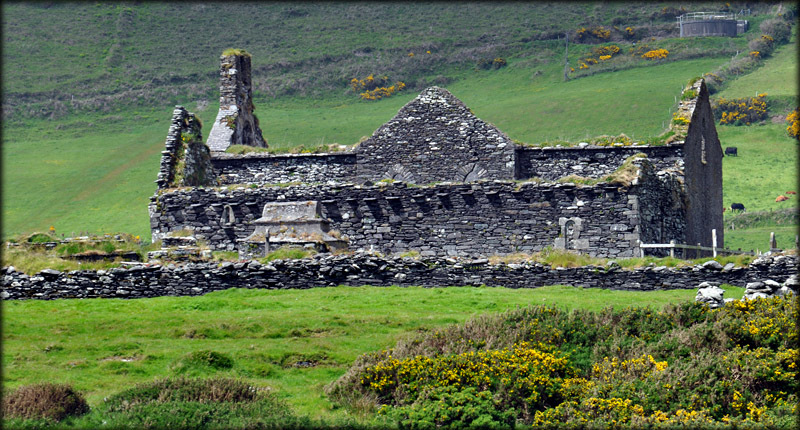 Situated: From Portmagee head south on the Skellig Ring (R365). Take the right turn immediately after the turn for Finians Bay. You will see the church on your right. Discovery Map 83: V 3932 6877. Last visit June 2018.